The big wait surrounding 2.0 is slowly coming to an end, with the Rajinikanth starrer, directed by film-maker Shankar all set to take over the big screens by the end of this month. The talks surrounding the film are hugely positive and the movie is sure to set the box office on fire. There are whole lot of suspense factors revolving the film, which has left the audiences guessing about the storyline, rest of the star cast and more. In a recent interview with Behindwoods, director Shankar cleared the air on one such doubt in the minds of the audiences and that was regarding Aishwarya Rai‘s presence in the project. In Enthiran, which had hit the theatres in the year 2010, Aishwarya Rai had played the role of the leading lady. She essayed the character of Sana, who is the fiance of Vaseegaran, the protagonist of the film. Aishwarya Rai’s performance as the leading lady was one of the major highlights of the movie and her character had great prominence in the movie, which revolved around three main characters namely Vaseegaran, Sana and Chitti. Meanwhile, rumours were doing the rounds regarding Aishwarya Rai’s association with 2.0. 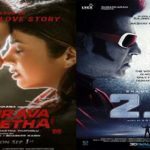 Unconfirmed reports were doing the rounds that Aishwarya Rai might be seen essaying a cameo role in 2.0 as well and the audiences were eager to know more about the same. Supreme Court arranges Rajinikanth’s wife to refund Rs 6.2 crore to a private company in 2 weeks ! Amy Jackson Select her Wedding Location.